6 posts categorized "Monetary Policy"
Should we ditch macroeconomics or perhaps reduce it to two weeks? 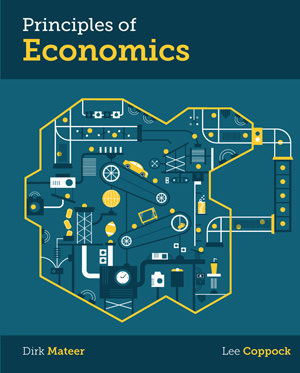 In a recent blog post, Noah Smith argues that most of the material in a Principles of Macroeconomics class isn’t really necessary. After teaching macro principles to more than 1,000 students per year since 2003, it is easy for me to find the blind spots in Noah’s view. More than anything, it is pretty clear that Noah doesn’t spend much time with college students. Now we come to Noah’s first howler: he believes that this material should take “about two weeks.” Two? What students is he teaching? I teach at the University of Virginia, a really great university with super students. But this takes six weeks, not two. When my students show up for macro principles, very few even know that interest rates are market prices. 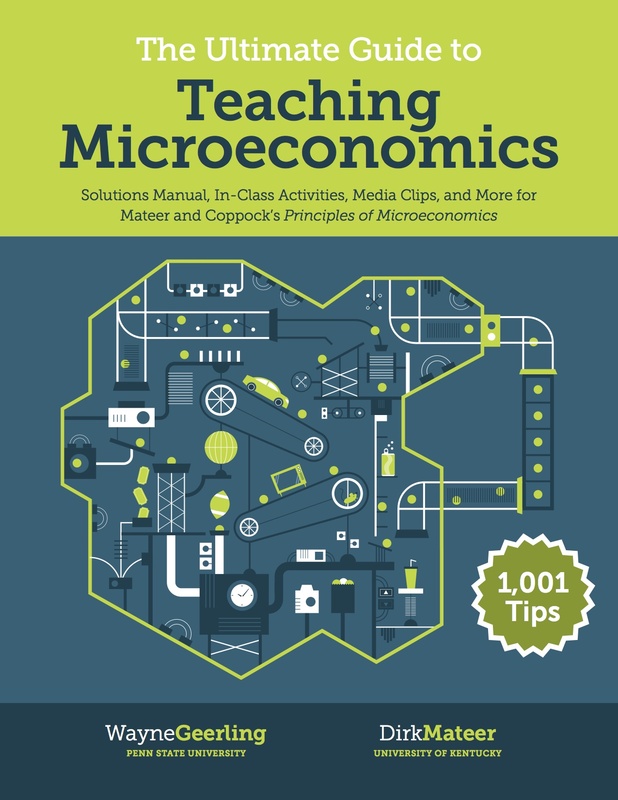 I do teach the Solow model but most Macro principles instructors believe it is just too hard for the intro level. 1. 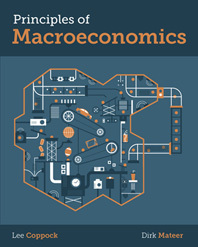 Key macroeconomic variables. These need to be defined, explained, and put in their proper historical perspective. These include real GDP growth, unemployment, inflation, and interest rates. And not just for the United States. First off, the way we measure these variables actually matters. Consider that unemployment rates do not include underemployed or out-of-labor force workers. Or that GDP only includes market goods. Both of these are relevant for policy and have been discussed in the media recently. And historical perspective is really key here – it can be one of the best gifts you can give your students. What is a big number or a small number? When unemployment is 7%, is that high or low? How about in the U.S. versus Spain? Or when real GDP grows by 4%, is that high or low? How about the U.S. versus Mainland China? Most college students won’t know this without a macro principles course. 2. The loanable funds market. You can’t understand financial collapse/contagion without a good understanding of the loanable funds market. A big part of this discussion is also forming an intuitive understanding of interest rates, which is not natural for most students. In my principles course (and textbook) I even cover mortgage-backed securities, securitization and moral hazard now so that the students understand the Great Recession. 3. Fiscal and monetary policy. 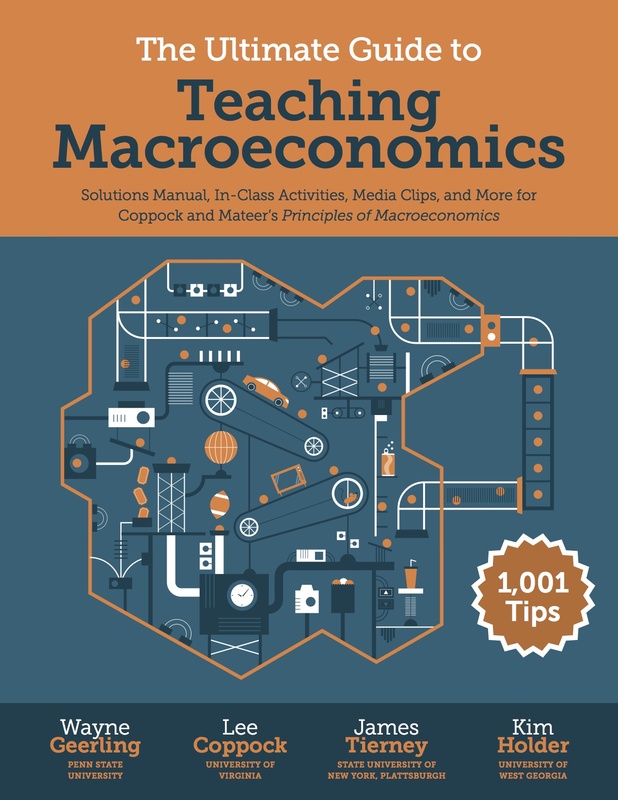 In many universities, this is the one place where real economic policy is taught - Intermediate Macroeconomics typically focuses on theoretical models. I view these policy discussions as voter education curriculum. Students need to know what deficits mean and something about historical perspective here too. They also need to know where government revenue comes from and how it is spent. Hint: it’s not all spent on foreign aid and welfare! And what about the Fed? This is the course where students learn about Fed policy and both actual and perceived effects on the economy. If time permits, it is great to also throw in international trade and finance, like the balance of payments (many misconceptions arise from a misunderstanding of how capital inflows are related to merchandise trade). Basically, to cover all of this takes about a semester. It is foolish to think that two weeks is enough. 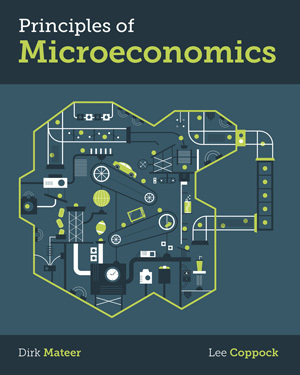 By the way, my favorite macro textbook covers all of these topics clearly in a great one-semester format. Last Friday, the Fed released the detailed transcripts of FOMC meetings during 2008, the year they realized the gravity of the financial crisis. It's a big job, but if you are so inclined, you can read the transcripts in their entirety here. The NY Times has done us all a service by splicing key statements by Ben Bernanke, Janet Yellen, Timothy Geithner and others, along with the key graphics that chronologically show how the Fed has responded to the crisis. One graphic tracks the evolution of the Fed Funds target rate (shown below) during 2008, as it dropped the target from 4% to almost zero. In hindsight, it is clear that Yellen was right on. Half of the U.S. states have now decriminalized or legalized marijuana for medicinal or recreational uses. However, as Serge Kovaleski reports in The New York Times, legal marijuana businesses in these states cannot open bank accounts to store their funds, or offer credit and debit card transactions. So, for now, all transactions are in cash (currency). Banks are reluctant to open accounts for marijuana businesses because they fear federal government laws. That's right: it's still a federal crime to sell, possess or use marijuana. The limitations have created unique burdens for legal marijuana business owners. They pay employees with envelopes of cash. They haul Chipotle and Nordstrom bags containing thousands of dollars in $10 and $20 bills to supermarkets to buy money orders. When they are able to open bank accounts — often under false pretenses — many have taken to storing money in Tupperware containers filled with air fresheners to mask the smell of marijuana. So what does this have to do with macroeconomics? Currency held outside the banking system reduces the money multiplier and, all else equal, leads to a lower quantity of money in the economy. Oh dear, will this cause another economic contraction? No. Kovaleski reports that the legal marijuana industry expects revenues of $3 billion this year. And, while that is a lot of cash, it is very, VERY small in comparison to the U.S. money supply, which is currently around $11 trillion (M2). The money supply might fall (see chapter 17 in our macro text), but not by nearly enough to affect the overall economy. Ben Bernanke is serving his last week as the Chair of the Federal Reserve and will be replaced by Janet Yellen on February 1st, which makes this a good time to consider his track record. The data shows that Bernanke was successful in both endeavors. First, inflation averaged just 2.2% during Bernanke's tenure (see figure below), lower than any of his predecessors since the 1970s. Ben is probably not unhappy with this result. Second, Bernanke made sure there was plenty of liquidity in markets during the darkest days of the Great Recession and the recovery, even when this involved creating a new tool (quantitative easing) and figuring out how to use it, all without causing inflation. Tough job. Today, the Fed announced that they will continue to buy $85 billion worth of securities per month "until the outlook for the labor market has improved substantially in the context of price stability." Some indicators of labor market conditions have shown further improvement in recent months, but the unemployment rate remains elevated. Household spending and business fixed investment advanced, and the housing sector has been strengthening, but mortgage rates have risen further and fiscal policy is restraining economic growth. Apart from fluctuations due to changes in energy prices, inflation has been running below the Committee's longer-run objective, but longer-term inflation expectations have remained stable. So the taper is off, but tapirs are still on. Consumer prices in the U.S. increased 1.52% for the year ending in August. In the month of August alone, the increase was just 0.1%. The graph below shows year over year increases in the Consumer Price Index (CPI) back to 2003. By historical standards, recent inflation rates are relatively low; over the past 50 years, inflation averaged about 4%. However, the average has been just 2.4% since 2003. Also, keep in mind that the CPI measures changes in the overall price level. It is computed by looking at average prices of over 8,000 goods in 38 geographic locations. Thus, even though prices increased 1.52% over the past year, some prices rose much more and some even fell.